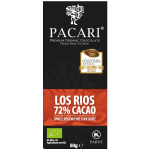 Pacari is a family-owned Ecuadorian company with a simple mission: to produce the highest quality organic chocolate in the world in the most ethical and sustainable way possible. 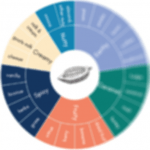 So far they’re doing pretty well, having won over 200 international chocolate awards. Pacari supports 3500 families in Ecuador. by working directly with farmers to ensure they are fairly paid for their hard work. They also support the local economy by creating job opportunities beyond farming such as technicians, designers, chocolatiers and sales and shop staff. Pacari means nature in Quechua, an Andean indigenous language. Nature is what Pacari are all about - making the most of nature’s ingredients while protecting her.